By default, when you configure a Google account on your iOS device, there is just your default calendar synchronized with iPhone/iPad. 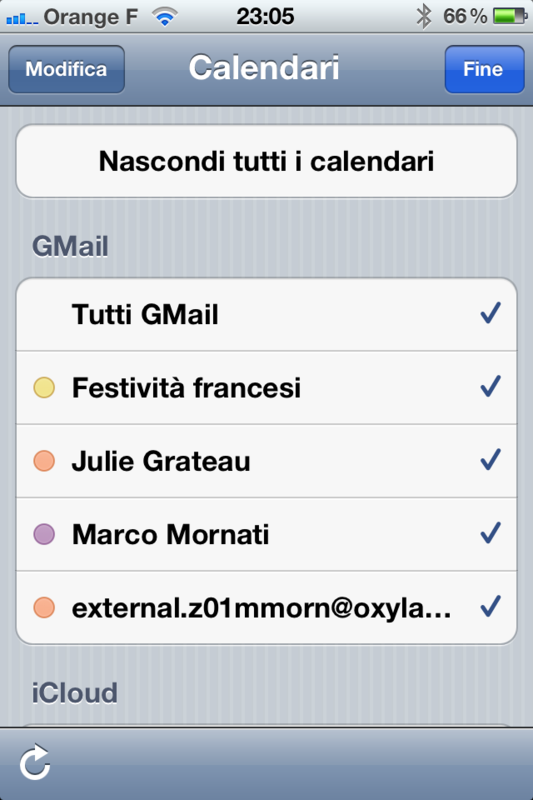 But if you have, like me, configured and imported some other calendars that are displayed on your gcal, you surely would have them on your portable device too. 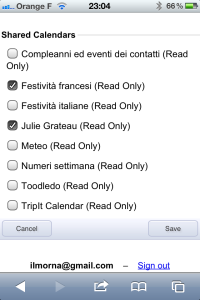 For example, in my account, I've import end my Google Apps (professional) calendar, French/Italian holidays calendar, and some other. 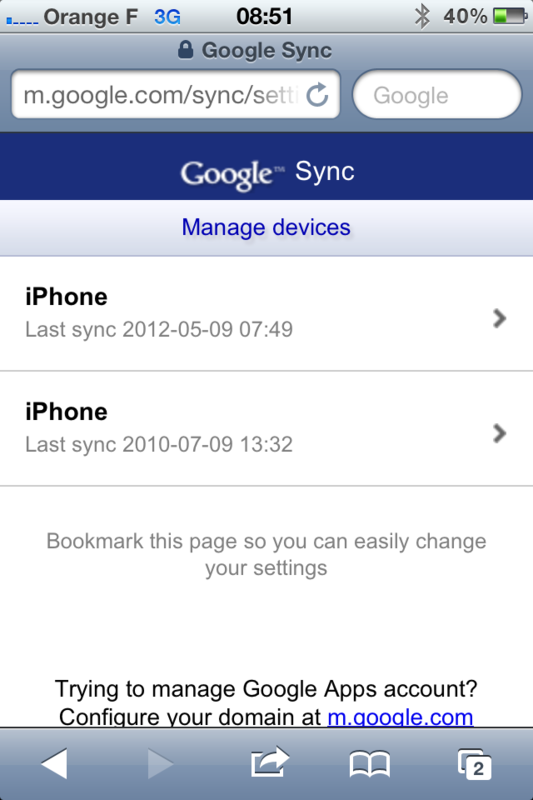 The error page says google sync is not supported on your device. And even if you retry to refresh the url, you have always the error. As we already (partially) said, the problem is not your device but the language used to show the page. 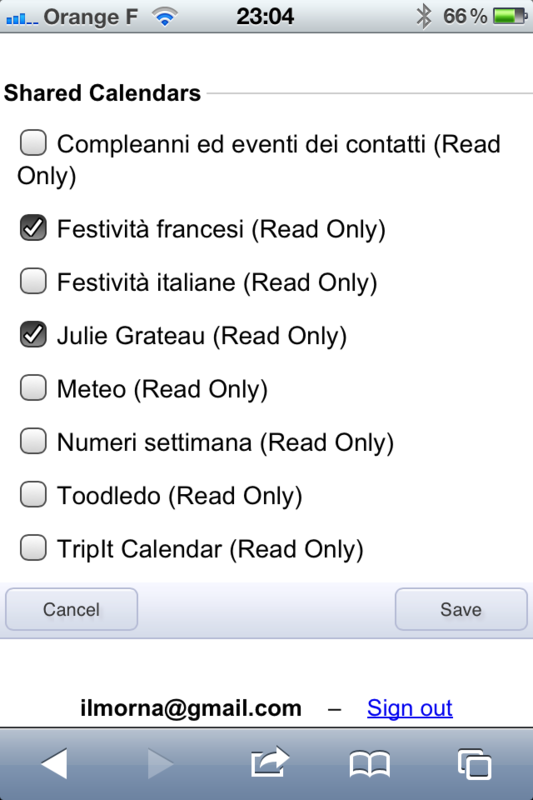 If you click on "change language" (naturally link is displayed in your language, in the image is "modifica lingua") and select "English US" you can see the real sync page. 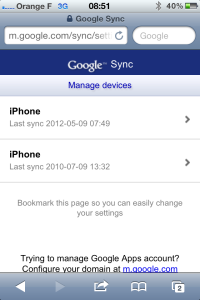 In my example, I've already two devices configured with my sync account, so in the page I can see sync devices and I can select the one I'd like to configure. If you have never configured your device you should directly access to config page. 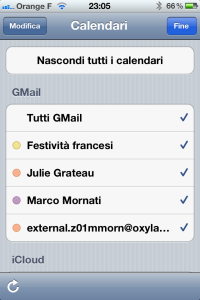 Here you have just to check the calendars you'd like to synchronize to your iOS device and save the changes.